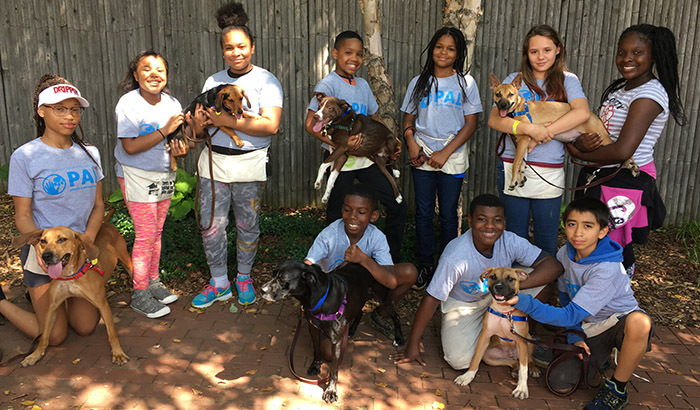 PAL is a nationally recognized empathy building program that pairs underserved youth with shelter dogs. Using reward-based training methods, students work in pairs over a two-week period to train a shelter dog with basic cues. 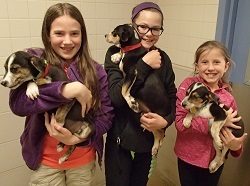 By working closely and bonding with shelter animals, PAL participants expand their circles of compassion to include animals and become ambassadors for the Wisconsin Humane Society's mission. PAL seeks to increase self-esteem and pro-social skills like empathy and cooperation, which research shows decreases a child's likelihood of becoming involved in violence. PAL also helps the dogs develop skills to prepare them for an adoptive family. Teachers, social workers, community leaders, and adult mentors are encouraged to nominate a student age 10-13 to participate in the program. Nominations are accepted February through April each year. Please download our Milwaukee Campus packet or Ozaukee Campus packet to nominate a student. 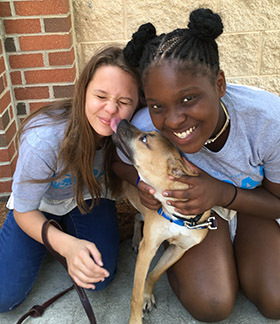 Foster families house PAL dogs for a two-week session, providing a loving home environment during nights and weekends while the dogs participate in this special program. For more information on becoming a foster family, please click here. The PAL program is offered free of charge to participants, and door-to-door transportation is provided. 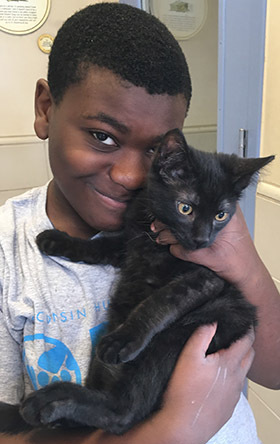 For information about how you can provide a life-changing experience for one of our PAL participants, please contact our Development Team at 414-431-6119 or strudeau@wihumane.org. "After participating in the PAL program, I will do my best in the future and not doubt myself." "The most important thing I learned about myself in the PAL program is that I can do more than I thought I could." "[PAL was] an opportunity for [my son] to grow mentally, learn and experience new things, and meet new people." "[PAL] gave her an opportunity to work with love and find a voice and confidence in leadership."